I asked my kids what they wanted to do, other than playing Minecraft, over a long weekend. Not that I didn't want them playing Minecraft. They decided they would like to make 'real-world Minecraft.' So we headed to IKEA, ordered some stuff from Amazon and then got out the craft supplies. 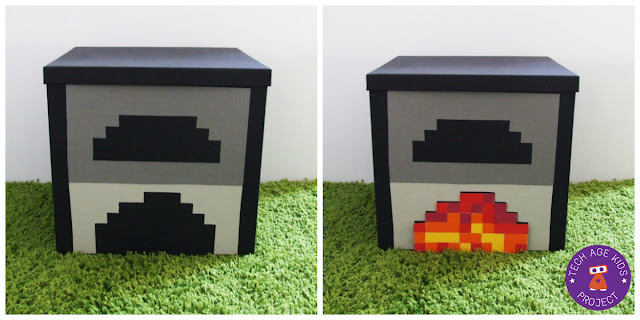 First we needed cardboard storage boxes that could act as the blocks in our real world Minecraft. We found the IKEA Tjena range. The boxes aren't perfect cubes, but they're good enough. The come in white (quartz), light blue (diamond), black (furnace) and brown (crafting table and chest.) The boxes are just over 32cm cubed (longer in one dimension.) A Minecraft block in 16 x 16 pixels so pixels in real-world Minecraft are roughly 2cm. The kids planned what we would make in Minecraft. 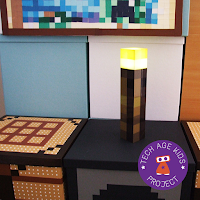 They designed a small set of blocks and items that we could build in real-life. The kids were very insistent that you could only place things where they would be allowed in Minecraft! Then we went to IKEA to get the storage boxes. We also found an awesome Hampdon shaggy green rug which looks like grass. We couldn't resist adding this to finish off the world. 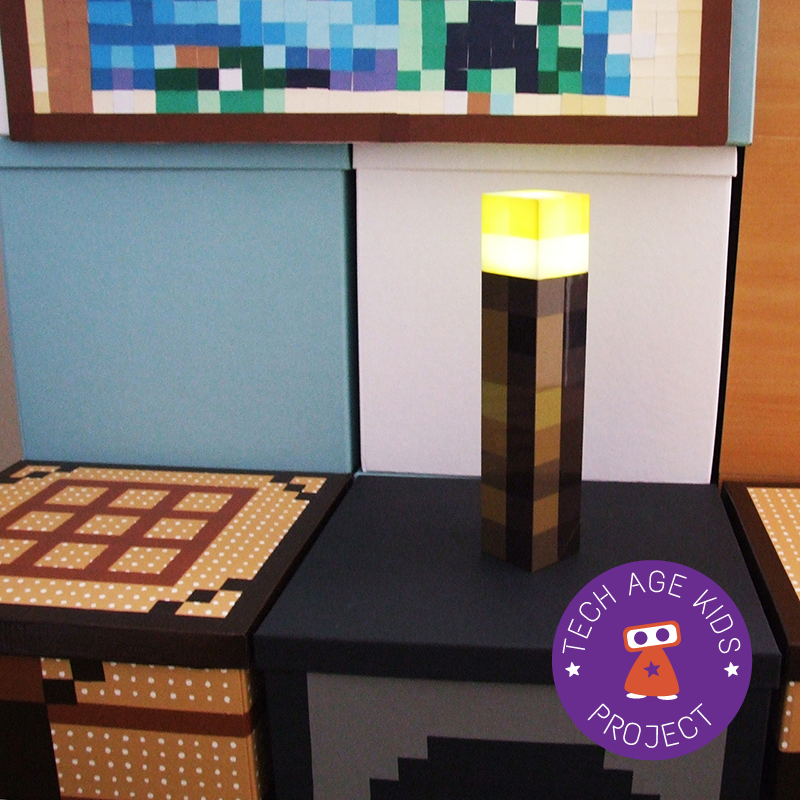 We also bought a Minecraft torch which can be fixed to the wall or placed on a table. It's a slightly larger scale than the boxes but not by much. 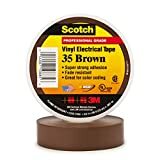 We also ordered thick dark brown duct tape and 19mm lighter brown electrical insulating tape to decorate the chest and craft table. The IKEA Tjena boxes have lids so they can be used for storage. My kids have put made up LEGO sets and work-in-progress craft projects in theirs. That makes this project useful for storage too! The boxes are reasonably sturdy but are only made from cardboard so kids will need to be a bit careful with them. They're pretty inexpensive though. The boxes are flat-packed (of course!) and come with some packaging cardboard which we kept to use in the project. The furnace should be dark grey, but we decided that black is close enough. I printed some not-quite-squared paper for us to make templates from. The kids looked at Minecraft and sketched the templates and then we cut the pieces from coloured card. The flame part comes off the furnace so that it can look like it is on or off. 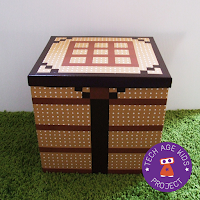 The chest is decorated with dark brown duct tape. The thin part at the top is the lid which opens but it's decorated to look like it opens lower down. We used silver card on sticky pads for the clasp. The top of the crafting table isn't square but we decided to make the grid on top square. We used more of the dark brown duct tape plus lighter brown electrical tape which is just about the thickness of a pixel. We used one of the pieces of cardboard packing from the boxes for the painting. 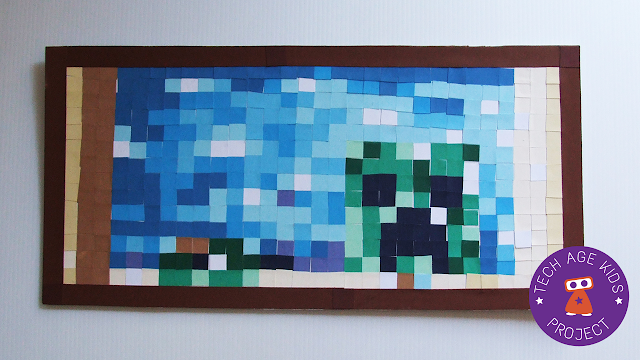 The kids chose the creeper painting from Minecraft. The kids and I stuck 2cm pixels onto it and added a dark brown frame. We raided our craft supplies for coloured card. We couldn't quite match all the colours but the kids were really happy with the result. The torch is a licensed Minecraft torch which actually turns on. It's pretty cool because you can either attach it to a wall at an angle or place it on a flat surface - just like in Minecraft. We created a fake wood panel of blocks to attach the torch to as we have some enclosed pipes in the area that we wanted it to go. My nine year old and his dad cut some scrap boards to size and added a baton on the back. If you can just attach a torch to the wall then you wouldn't need to do this. I made an item frame from cardboard, but you could just buy a deep square picture frame and remove the glass. We're going to make some items that can be swapped in and out of the item frame, but haven't done that yet. My seven year old already had a cactus in a squarish plant pot so that was added to the top of the furnace as a finishing touch. If you don't have space to make a large Real World Minecraft with IKEA boxes, you could try the Minecraft Papercraft Worlds. 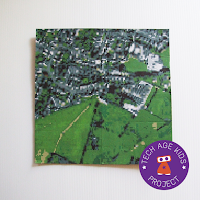 They are brilliant for developing making skills and a great way to keep kids crafting beyond age 7! 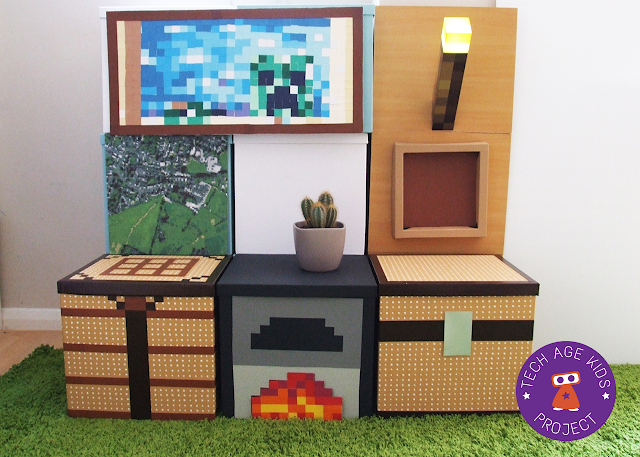 See our review of Minecraft Papercraft. 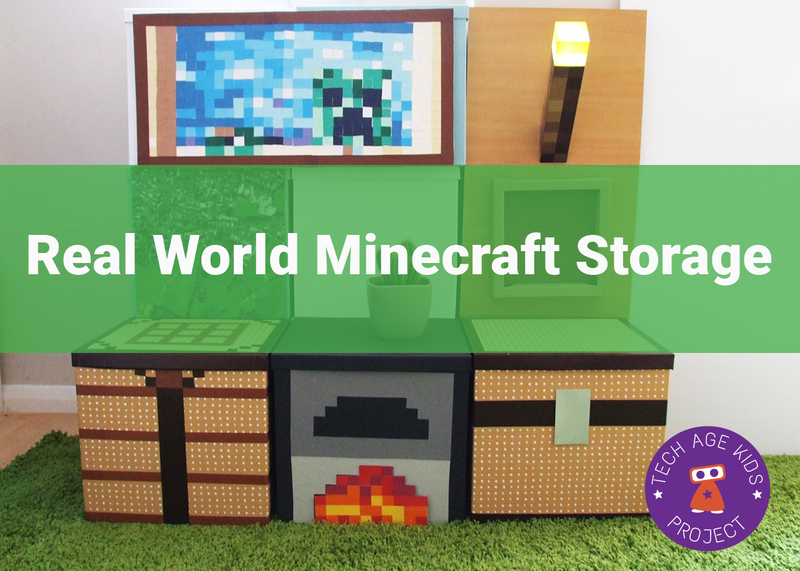 This activity was a lot of fun and we ended up with some useful storage and a cool corner where we can play board games as a family and it kind-of feels like you're really in Minecraft. 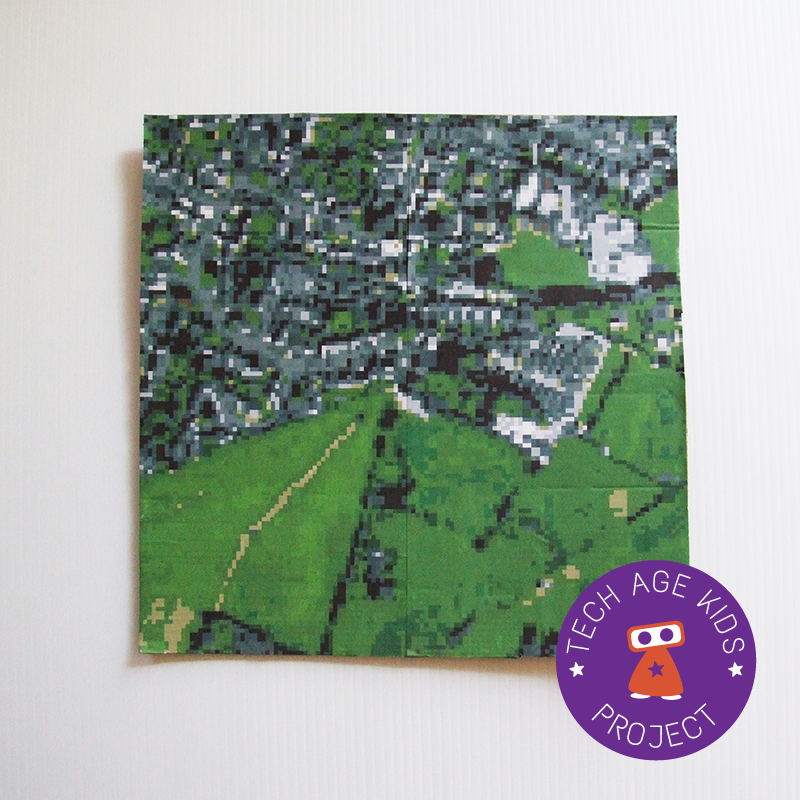 We've also got plans for some technology projects that build on our real-world Minecraft.